Ryan Reynolds is set to lead Atom Egoyan‘s psychological thriller Queen of the Night. According to Deadline, “Reynolds plays a father who discovers a series of disturbing clues eight years after his daughter is abducted, he becomes determined to find her when the trail leads him to believe the now 17-year old girl is alive.” Egoyan recently wrapped on the West Memphis Three drama Devil’s Knot, and filming on Queen of the Night is slated to begin shooting in February in Ontario. While I haven’t been crazy about Reynolds’ most recent movies (namely Green Lantern and Safe House), I’ve found him to be good in everything he does, and his dramatic prowess tends to get overlooked due to his comic charisma. He’s also not afraid of taking on challenging films like The Nines and Buried. Egoyan isn’t known for making safe movies, and I’m eager to see what results from their collaboration. However, Reynolds will next be seen in more mainstream fare. In addition to providing a voice in DreamWorks Animation’s The Croods, Reynolds’ upcoming film, R.I.P.D., opens June 28, 2013., and has the actor playing a newly deceased cop working alongside a seasoned veteran (Jeff Bridges) in the “Rest in Peace Department”, which is tasked with taking down mischief-making ghosts. Reynolds is also Summit Entertainment’s top choice to star in Juan Carlos Fresnadillo‘s reboot of the Highlander franchise. 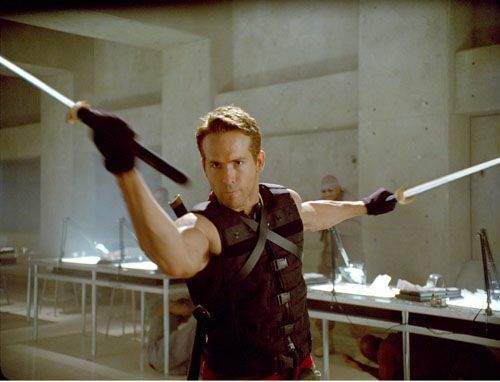 As for the long-in-development Deadpool spinoff, movement sadly remains nil. Fox currently has its hands full with other mutant movies, namely The Wolverine and the X-Men: First Class sequel, X-Men: Days of Future Past.